"The number of turn-by-turn navigation solutions for Windows Phone 7 keeps growing which is always a great thing from the consumer perspective. After we recently showed you a GPS Tuner, Garmin, a more prestigious company, has listed its application to the Marketplace." 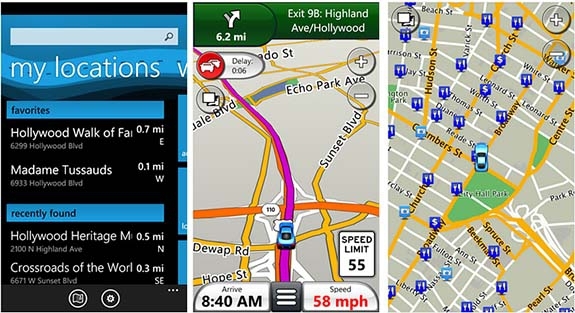 Garmin Streetpilot is the first Windows Phone 7 turn-by-turn navigation app released by a major firm. It supports voice turn-by-turn directions with street names, speed limit information, traffic updates and local searches. Garmin Streetpilot is now available in the Marketplace for $39.99. For anyone looking for something a 'little' cheaper, there's Silver GPS Navigator, also available in the Marketplace, which uses Bing Maps as it's base.